Israeli President Reuven Rivlin officially appointed Benjamin Netanyahu prime minister on Wednesday; therefore, the leader will hold the position for a fourth consecutive term. At the same time, Rivlin instructed the newly appointed prime minister to assemble a ruling coalition setting a 42-days deadline. "You are now receiving a mandate to form the next government," Rivlin said addressing Netanyahu during a televised ceremony. 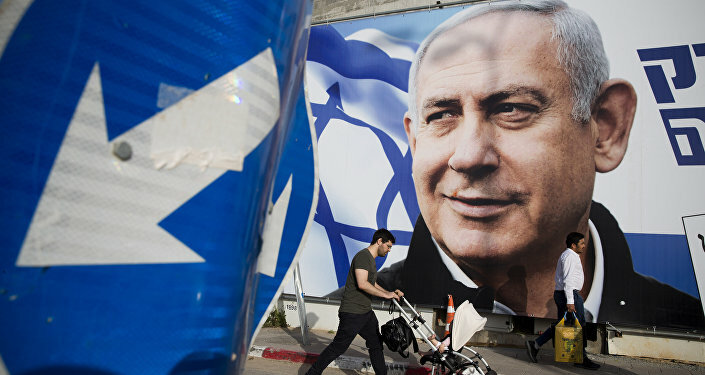 The move was anticipated as on Tuesday, the final results of the Israeli election that took place on 9 April were released. They showed that even though the right-wing Likud Party won one seat fewer than earlier data suggested, Netanyahu would still be able to form a new government. On the same day, Israeli media reported that Benjamin Netanyahu secured the support of the parliamentary majority, which recommended Israeli leader to form the new government. The incumbent prime minister has the support of 65 members of the Knesset, while his rival from the Blue and White political alliance, Benny Gantz, has the backing of 45 lawmakers. Moreover, on the day following the 9 April election, US President Donald Trump stated that he called Netanyahu to congratulate him on his victory. The US leader also reinforced US support for the Jewish state.